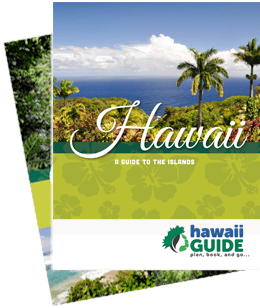 Here at GuideofUS- Hawaii, we love to introduce you to new and exciting adventures... adventures that highlight the very best nature trails, excursions, and natural wonders Hawaii has to offer. That's why we are so excited to partner with our friends at Hawaii Forest & Trail. These guided adventures range from half-day to full-day tours and take guests to stunning locations: Pristine rainforests and cascading waterfalls on a stunning hike; the top of Mauna Kea for some stargazing; Hawaii Volcanoes National Park to marvel at the lava. And no Hawaiian nature excursion would be complete without some birdwatching to spot some of the world's rarest and most endangered birds- each more beautiful than the last. More than just an adventure, Hawaii Forest & Trail tours are a way for you to take home a story and a profound insight into the evolutionary process and natural history that makes the Big Island so unique. Peruse our selection of tours below and book your perfect adventure today. And remember, we offer only the best guided nature tours you'll find, so they tend to fill up fast. Make sure to book as soon as possible to ensure availability. Mahalo!